Casual cut - comfortable fit - sporty look! 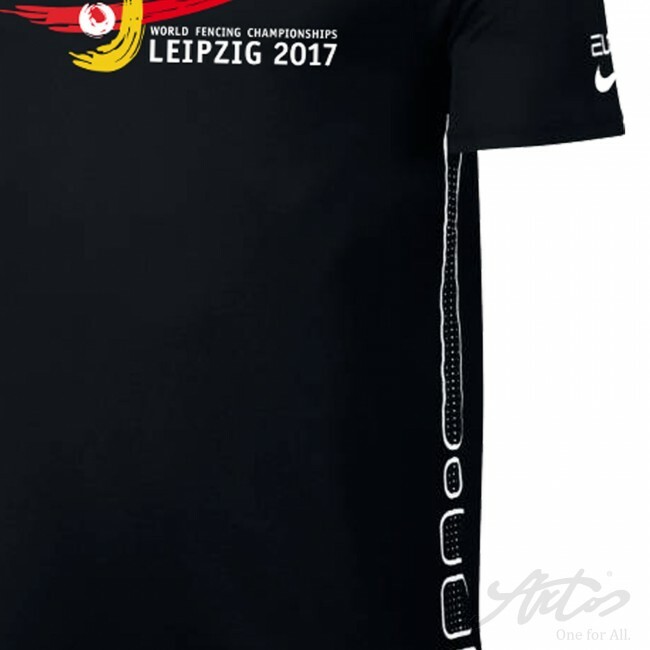 A printing with nation, club as well as surnames and given names on the back of the shirt or shirt-sleeves is possible. Please enter your request in the field provided! If you want a logo on the shirt, please add this as vector file (EPS format). Other formats can unfortunately not be considered! 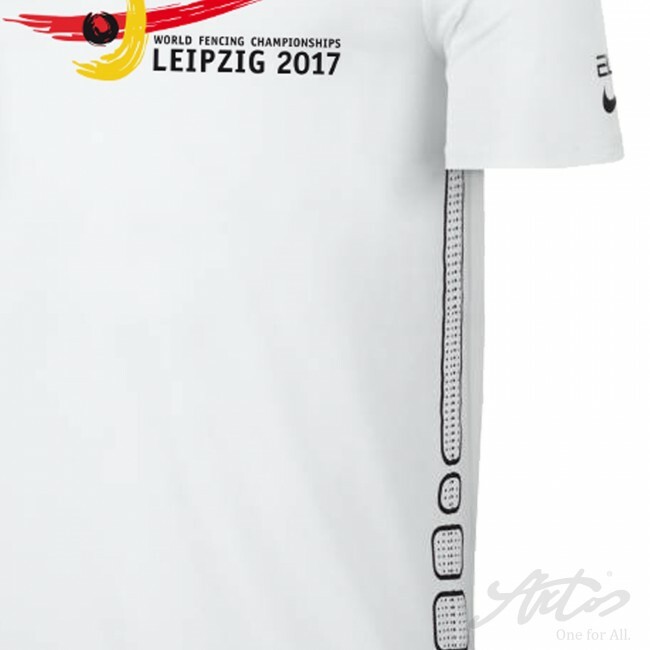 The Nike Men Event Shirt for the World Fencing Championships 2017 in Leipzig with official logo and Nike Swoosh. 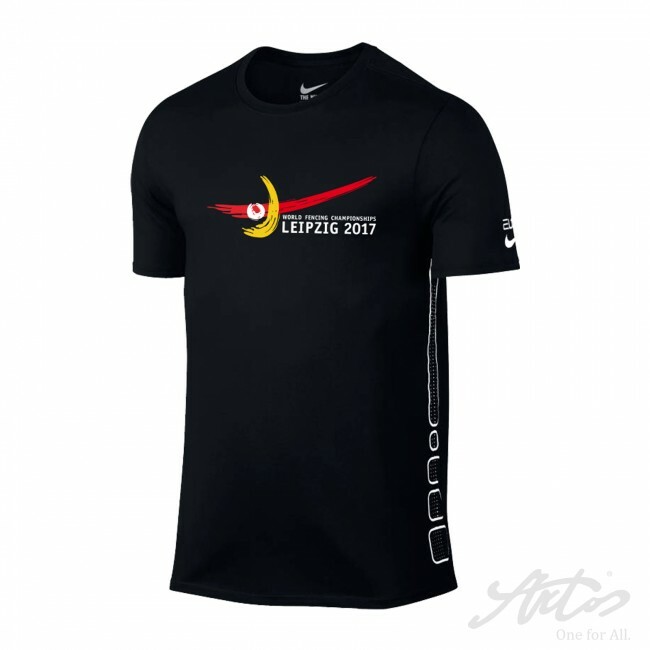 The NIKE short-sleeved shirt convinces by its classic design and excellent wearing comfort. 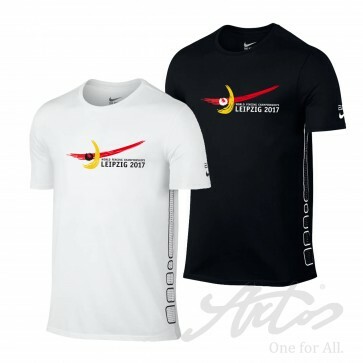 The event shirt is made of a soft cotton with the robust and fast drying properties of polyester. The functional DRI-FIT material transports moisture quickly from the body to the outside and ensures a dry and fresh body feeling. 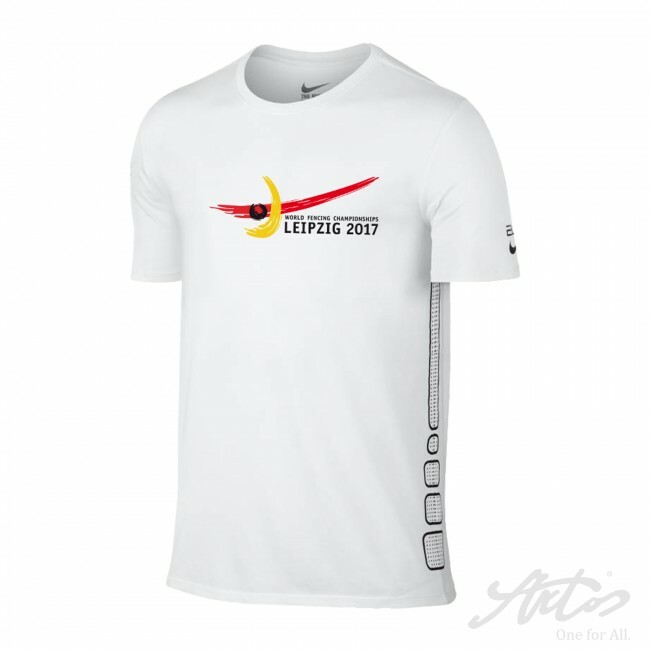 The casual fashionable cut of the Nike WM-shirt allows a comfortable fit and a sporty look. Please enter your request in the field provided! If you want a logo on the shirt, please add this as vector file (EPS format). Other formats can not be considered!